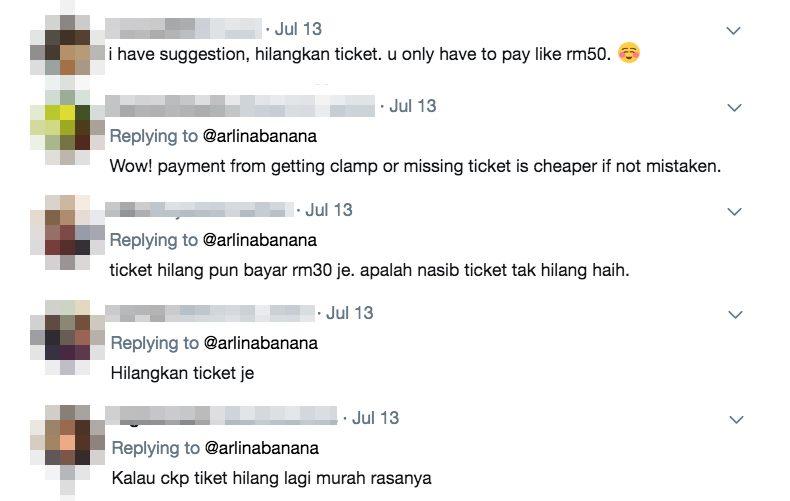 "Aku terparking kat taman syurga ke..."
Online personality Arlina Arshad, or popularly known as Arlina Banana, took to Twitter to share a photo that shows an autopay machine displaying the parking fee of RM125 on the screen. "Aku terparking kat taman syurga ke..." (Did I accidentally park in paradise...)," she wrote in a tweet on 12 July. 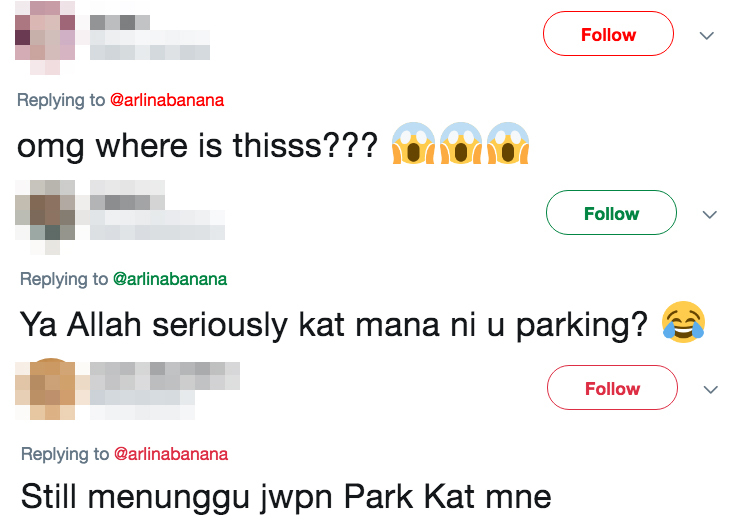 Arlina did not reveal any additional information about the incident, such as how long the car was parked for or the location of the carpark. Nevertheless, the tweet went viral and has received more than 19,000 retweets at the time of writing. Arlina's viral tweet got the attention of netizens. Naturally, quite a number of people were equally surprised at the exorbitant parking fee. Curious netizens took turns guessing, saying that this could have possibly happened at the Kuala Lumpur Convention Center (KLCC), AEON shopping mall, Kuala Lumpur International Airport (KLIA), or KL Sentral. Some of them said that they have experienced paying up to a few hundred ringgit for parking overnight at these places. Meanwhile, others were not too bothered about it. Instead, they started sharing their own photos and videos that depict autopay machines showing expensive parking fees amounting to more than a few thousand ringgit. It was learned that the man in the video above had initially lost a parking ticket but found it later on. He had kept the parking ticket for about a year when the video was taken, which explains why the parking fee came up to more than RM7,000 when he put it into the autopay machine. In some places, the carpark operator does not impose a maximum cap limit, so the parking fee would keep increasing. PM Najib Razak made the announcement today, 17 July, when launching Phase 2 of the MRT-Sungai Buloh line. "If possible, let this subject be taught at the lower secondary level and later be extended to a higher level." She was scheduled for cataract surgery, but the operation was postponed following the discovery.